Sanesecurity.Malware.24759.XmlHeurGen signature also created for ClamAV 3rd Party signatures (sanesecurty.com) to detect them. Yes, it's nice to have the "blue team" point of view. Good article. Had a few clients receive suspicious Word docs recently but they weren’t triggering any AV software. Fortunately we have them fairly well trained to check the sender names and call if they are unsure of an attachment. 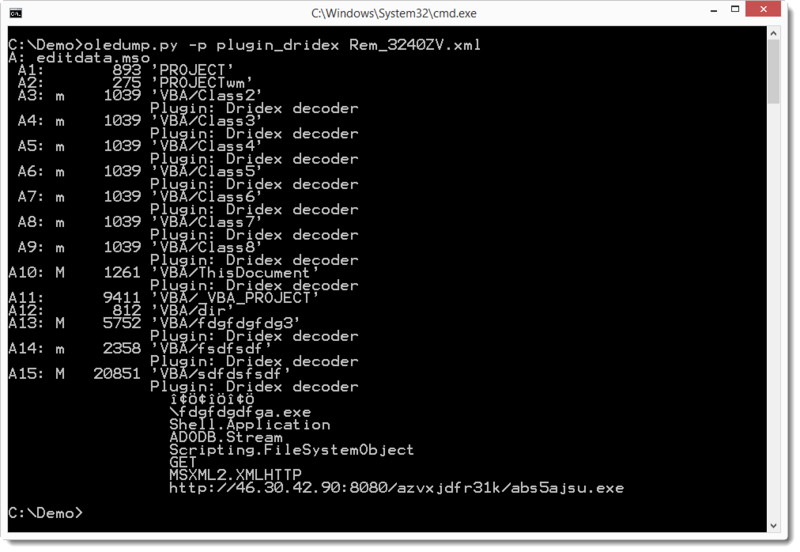 I knew the files had to be bad but I am not well versed in decoding base64. 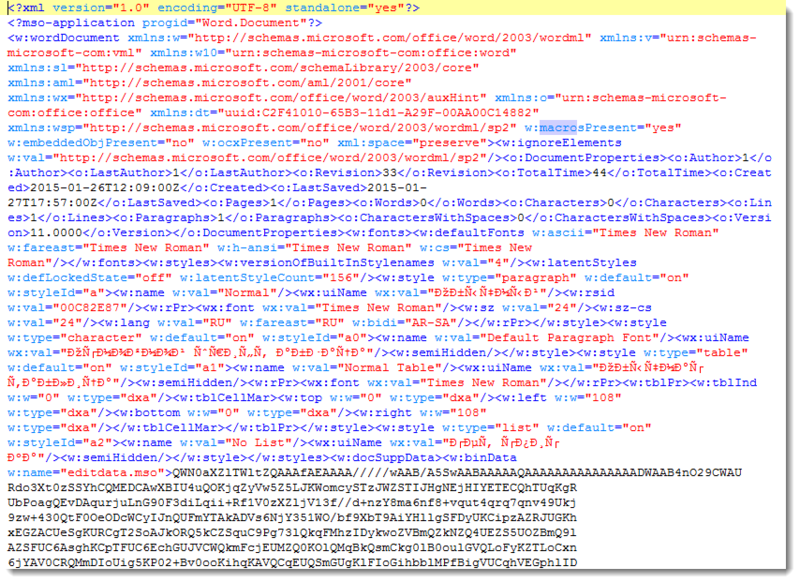 Damn Microsoft and their word2003xml!! !